The year Zekey died, it snowed all winter. We had snow on the ground from November well into March. Andy and Breena had been with us since the preceding August. Cyrus and Eisley were in school, but that winter it seemed like they rarely went because of school delays or closings. Bexley (then 2) spent her days lying alongside Zekey who was camped in a bed by the window which looked out at the woods in our front yard. It seemed like they watched an endless loop of Lightning McQueen and Daniel Tiger. There was so much laughter coming from that bed – Bexley giggling and Zeke laughing at whatever show he was watching at the time. 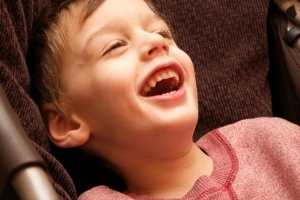 He couldn’t talk with words, but his laugh was riddled with meaning. I cannot now remember when Easter was that year, but I’ll never forget Ash Wednesday. By this time we knew that Zekey would not be with us long. Andy brought him forward during our service that evening to receive the ashes and to hear the words: “From dust you came, to dust you will return”. Most of the church watched as Andy carried him forward, and we all wept at the reality of what was being done and said over him. His mortal body would soon be gone, but his immortal soul would be eternally yoked to Jesus – the one for whom we walked this Lenten journey. The second profound Lenten experience happened a year later for me. My great friend and mentor had fallen and broken her hip a week after Zekey’s funeral and the next year was spent trying to find good care for her and to be with her as she prepared to leave this world for another. She had spent her life helping people prepare for death and resurrection. In her books and in her ministry the message of the Cross was central to all she did. In my own life, it was her message and ministry of Christ’s coming, his suffering, his death and resurrection that fully awoke in me the promise of wholeness. I remember hearing her speak for the first time, and thinking to myself – I have no idea what this woman is talking about but I desperately want what she has. It was like listening to the beauty of another language (French in particular!) and saying to myself – I want to, no I need to, learn that language. She died on Ash Wednesday 2015. As she left this world for the eternal company of God – she brought home to those of us gathered around her, that indeed from dust we come, and to dust we return. Just as she had done in life, she did so in death: she bore witness to the promise of wholeness for the whole of our beings – our minds, our souls, our bodies, our spirits. She suffered, as Zekey did in the last months of her life, but it never diminished her soul’s capacity for joy. These two Lenten experiences have made me very grateful for the walk to Resurrection Sunday. I can acknowledge my great dependence on Christ, and I can acknowledge my body’s frailty. I can yield my will’s inability to be who God has called me to outside of that total dependence on him. I can affirm that while the body may die, my soul like Zekey’s and Leanne’s will be tethered for all eternity to the great love of the Father, through the sacrifice of His Son, Jesus Christ. Jean, so good. Thanks for taking us into your world, your pain, your transformation….